Two technologies in one system for the best system available to screen parcels, bags, and mail for threats and contraband. With two technologies in one system, the Gemini® 7555 X-ray inspection system, easily detects metallic objects like knives and guns, but it also clearly reveals organic materials hidden in cluttered parcels which frequently can be missed in transmission-only systems. 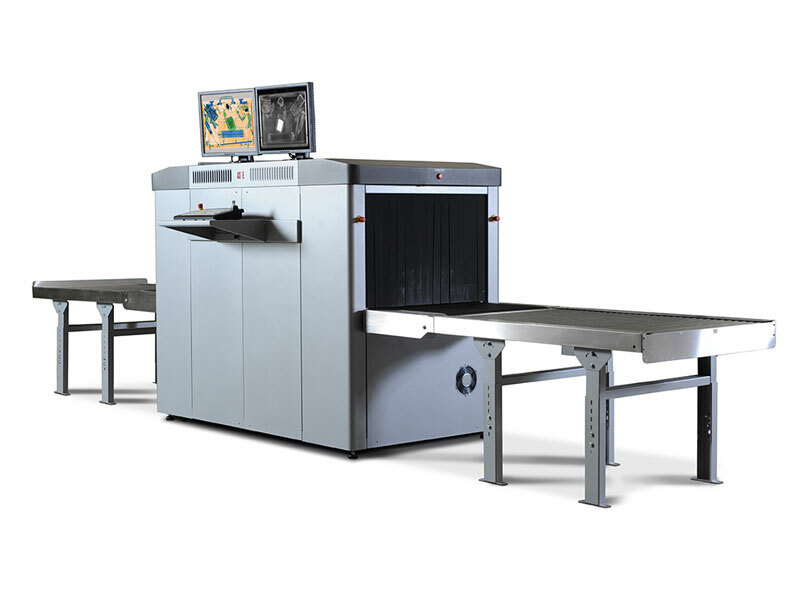 Ground-breaking Gemini® parcel X-ray inspection system combines dual-energy transmission with patented Z Backscatter® technology for the most comprehensive threat detection available for parcel, baggage, and mail screening. The Gemini® system’s unique capability to detect both metallic and non-metallic threats—even in cluttered environments—makes it an invaluable inspection tool for security officials. The power of the Gemini® system lies in its ability to simultaneously detect both inorganic and organic materials by combining dual-energy transmission and Z Backscatter® X-rays two complementary, advanced, and commercially proven technologies. Together, they provide the most information available about the contents of a parcel. The Gemini® system’s dual-energy transmission X-rays generate a high-resolution image in which metallic threats, such as guns and knives, are easily detected and fine details, such as tiny wires that could indicate an improvised explosive device, can be discerned. Dual-energy transmission technology uses two X-ray energy levels to determine the “effective” atomic number of objects in the parcel and then colorizes the image based on material type. The Gemini® system’s Z Backscatter® X-rays generate a photo-like image in which organic materials—such as sheet, bulk, and liquid explosives, narcotics, and plastic weapons—are bright white. The easy-to-interpret images produced by Z Backscatter® technology also help to reduce operator fatigue.